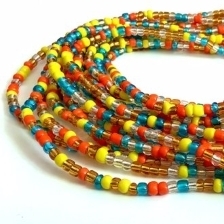 Tri-beads are known for their characteristic shape with three arms which allow them to interlock when strung together. 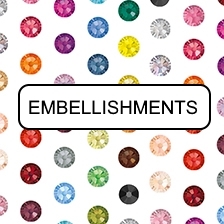 They come in a large range of colors in opaque, transparent, glow in the dark and metallic. 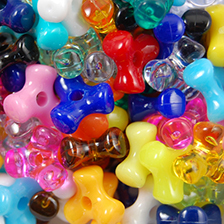 Tri-beads can be used for many affordable craft and jewelry projects including ornaments, keychains and bracelets.